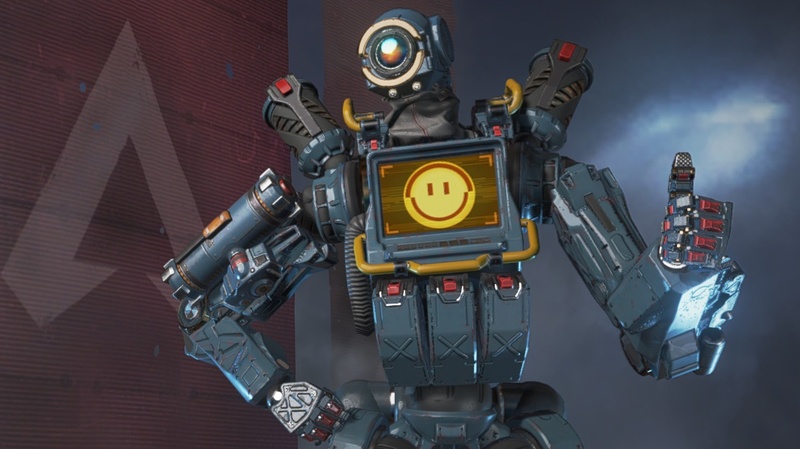 Apex Legends takes an Overwatch approach to the battle royale genre by introducing eight unique characters with their own traits and abilities. One of the eight characters is Pathfinder, a spunky robot that’s all about supporting the team through any terrible situation. Pathfinder is an unorthodox support-based Legend in Apex that has a lot of utility abilities. Pathfinder can turn the tide of any battle when in the hands of a competent player and shouldn’t be overlooked. This robot might seem a bit useless at first in comparison to other characters—but if you know what you’re doing, Pathfinder can single-handedly win you a game. Pathfinder’s passive ability allows him to use the survey beacons scattered across the map to find out the ring of death’s next location. This ability is very useful in the later stages of the game as the ring gets smaller because it gives you a tactical advantage over all other squads. By knowing the next ring location, you can reposition and set up a vantage point for other squads who will make their way to it moments later. Be careful, though—using this ability will leave you open to enemy fire for a small period of time, so make sure you’re safe before activating it. The big issue, however, is that these survey beacons are hard to come by and are mainly in towns and clustered areas. Most Pathfinder players don’t even know this ability exists and will just bypass the beacons without knowing what they are. Be wary, watch your surroundings, and you’ll be supporting your team like the good robot you are in due time. This ability is the main reason you play Pathfinder. The Grappling Hook ability does exactly what you’d think—it gives you a short grappling hook that you can fire off at any given time. This gives you the option to pull yourself toward objects or scale up walls that would otherwise be unreachable by jumping. You can also use this ability tactically to grapple a fleeing enemy and pull them into you and your team, stopping them in their tracks. Just be cautious about using it to get ahead of your squad to survey the landscape. If you get too far ahead and into a teamfight, it could cause you to die a slow, lonely death before your team even has a chance to support you. Pathfinder’s ultimate gives you the option to fire off a zipline that you, your team, and your enemies can use to zip across the map. You mainly want to use it to reposition your squad around enemies or to get them to scale to higher positions that are normally out of reach. You need to use this ability wisely, though. Save it for a quick getaway or to give your team an advantage in the final circle. Some Pathfinder players will grab a fully-kitted sniper rifle and scale up on top of a mountain to rain fire down from above. No one expects the mountain Pathfinder.